Pearl Jury is the first woman in New Zealand to gain her Civil Trades Certification leading the way for women working in the infrastructure industry. Civil Trades Certification (CTC), introduced in December 2015, is the nationally recognised accreditation programme for civil contractors in New Zealand. CTC is run through infrastructure industry training organisation, Connexis. Since the launch more than 250 workers in the sector have completed the qualification and all of them have been men, until now. Pearl Jury, civil operations manager for Gair Contracting in Napier, recently completed her CTC, which is backed by more than 15 years’ experience in civil sector. It was completely worth it, she says. Connexis developed CTC, in conjunction with its Industry partners, so the infrastructure industry would have standardised, nationally recognised qualifications. Connexis board chairman Brian Warren, also the chair of the Civil Trades Certification Board, says it’s fantastic to see women starting to be represented in the qualifications process. For Pearl, working in a male-dominated line of work hasn’t always been a bed of roses but, “I always gave as good as I got and in the end we all just got on with the job”, she says. And now, of Pearl’s two sons and one daughter, it’s her daughter that has followed in her footsteps to work with heavy machinery in the civil contracting sector. 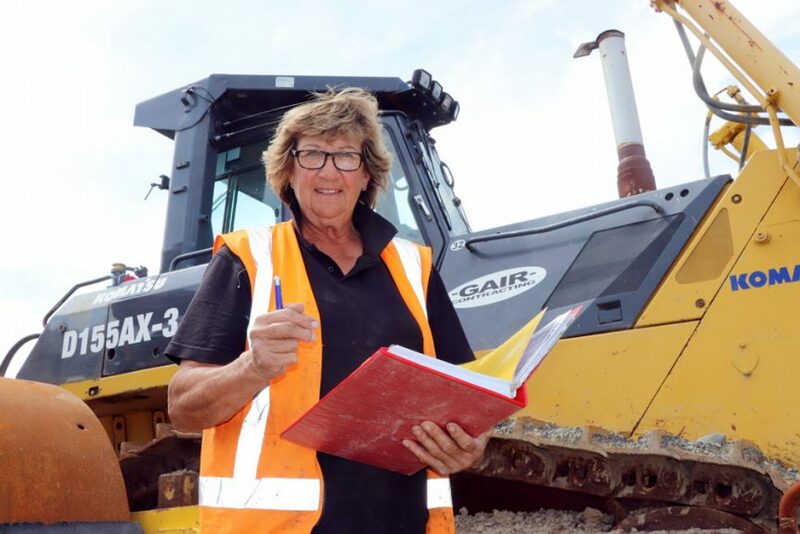 Gair Contracting is one of the few civil companies in the country run by a woman – Bailey Gair. Bailey is also a councillor on the national executive of Civil Contractors NZ. Pearl’s advice for other young women considering entering the civil contracting sector is to make sure they enjoy it, as she does. “It’s a solid, and well-paying option. You will get your hands dirty, you will have to work hard, so just make sure you love it. “I think the best advice is to show you care. If you get the oldest machine to start with, just take care of it really well. Do your job well, have a good attitude, be willing to learn. Despite her project management responsibilities these days Pearl can still be found driving a digger most days. Pearl decided to do her formal CTC at the suggestion of Gair Contracting general manager Richard Jardine. He agrees it won’t be long before CTC is seen as a compulsory part of working in the civil trades sector. “It’s just the best way for clients to get a clear picture of what our people can do. I think they’ll probably demand it eventually. Brian Warren also backs that up saying CTC has crucial benefits to both employers and employees. “For employers it improves the productivity, efficiency and safety of the workforce, showcases their work for potential clients, and attracts good staff. He adds that having CTC in place also elevates the infrastructure sector overall.